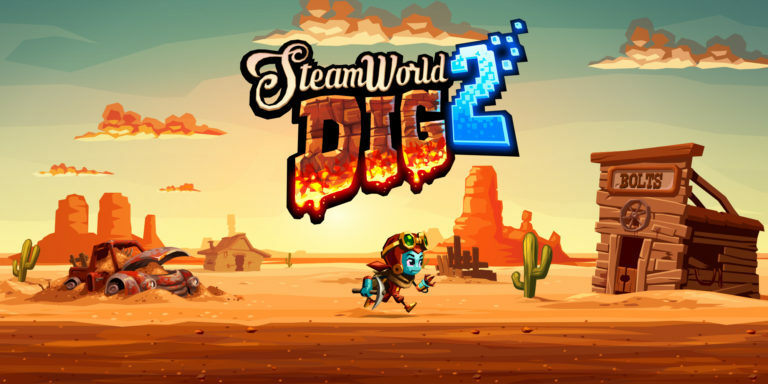 Steamworld Dig 2 is the fourth instalment in the Steamworld series from developer Image & Form and it a direct sequel to the original Dig. The story follows a steam driven robot who is searching for Rusty, the protagonist from the original who has gone missing. This quest drives you through multiple mines that introduce you to a diverse bunch of characters. As you push you way through the maze like caverns you will solving puzzles, mining resources, finding upgrades and defeating enemies. An average day for a robot miner. 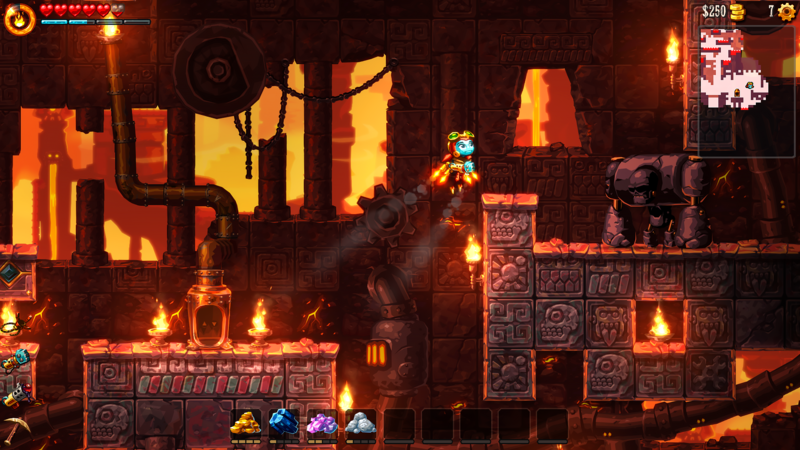 Just like the game before, Steamworld Dig 2 focus around the ability to mine blocks away to create a passage to your goal. As you dig further and further into the mines you will be picking up resources that can be sold upon your return to the surface which in turn can be exchanged for upgrades. As explore the Metroidvania style underworld you will come across caves that have a strange device sitting in them. It amused me because I walk straight into the device without a second thought, not knowing if was going to kill me or not. Luckily these devices are the latter and grant you new items to use within the mines. You do begin the game with a standard pick axe but as you go deeper you will soon find out that these new items are key. The only difference these items have over your pick axe is that they use water to function. Yes they do run out rather quickly but they offer a lot more mining power compared to the pick axe. There are plenty of pools in the mines to refill your water supply, plus many of the upgrades available give you more storage. Scattered throughout the mines are caves and this will contain some nice items such as cogs (that are used to enable upgrades) but they are not given to you easy. The caves are essentially the puzzle element of the game and they are very creative. 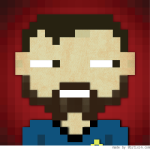 My favourite puzzle type is the directional blocks. These block will have a crack in them on a specific side and they can only be mined from that spot. The brilliant feature about these is if they are stacked together you can chain mine them resulting in a quick dash across the screen as the cleared blocks begin to open new sections of the cave. These sections will either result is a pretty quick death or a route to the prize. Puzzles are great when they mix mental and physical skill together. Moving around the mines is key to completing this quest so the controls have to be spot on. In some cases this is not true. General movement is fine but the jump is a little tricky to get the hand of. From a standing position, jumping will make you drift slightly in the direction you are facing. Add movement to this and you will be leaping erratically around the world. It is not game breaking but it can make some of the more fine jumps annoying to achieve. 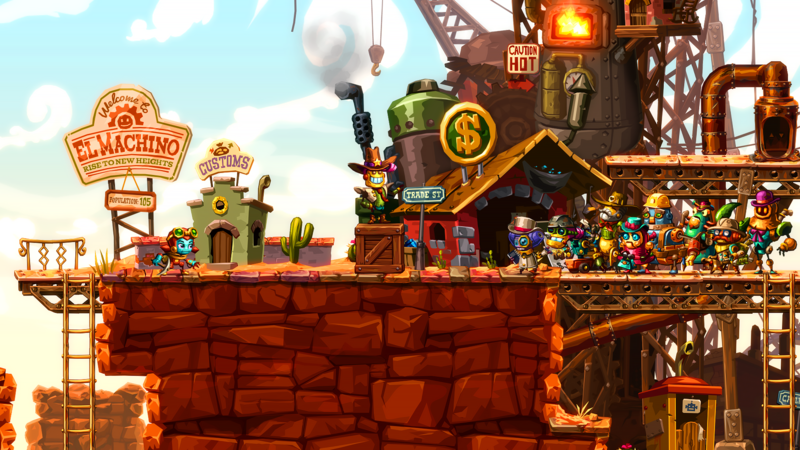 Steamworld Dig 2 offers a gameplay that is very similar to Metroid with a lot of backtracking due to the new items you pick up along the way. It is not a straightforward experience that sees you going from point A to B but rather to multiple points before reaching your end goal. This is what makes the game so much fun though. 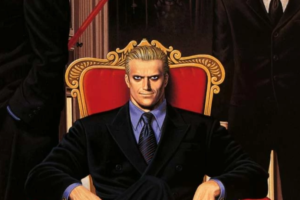 If you found the style of previous games in the series appealing then Dig 2 will feel very familiar. Bold, vibrant colours set in an almost comic book world with a soundtrack that will be stuck in your head for days after. 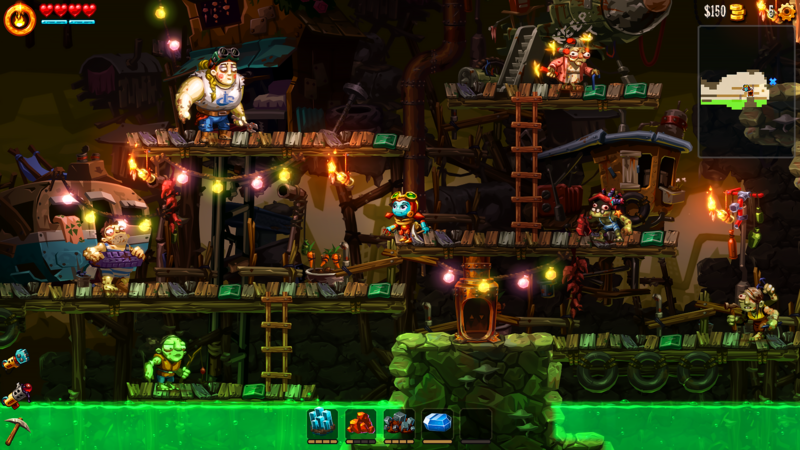 For fans of the Steamworld series, Dig 2 is easily the pinnacle and demonstrates how far the series has come. For newcomers it may be best to play through (or read up on) the previous entries before diving in but if you are a little impatient, Dig 2 offers an encapsulated experience that even newcomers will enjoy with very little background knowledge. 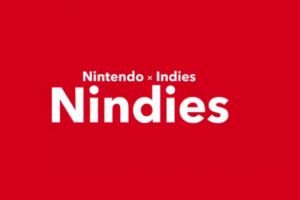 Image & Form have created a stunning world with the Steamworld series and Dig 2 just enhances that – I look forward to their next venture & until that day it is back off to the mines for me!